Who better to teach your children the best practices than those who have been there and done it themselves? 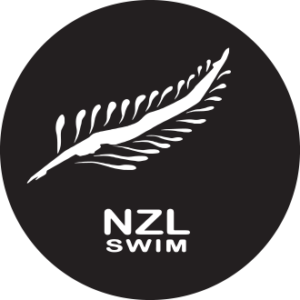 NZL Swim staff are made up of former, and current, national and international swimmers, experienced and qualified teachers and passionate, highly motivated coaches. Bridget has been involved in swimming for most of her life as both a competitor, teacher and coach. She excelled in distance races and made finals at the New Zealand Senior Championships every year from 2008-2015. She also won medals at National level both in the pool and on the Open Water circuit. Her domestic prowess led her to represent New Zealand at the Hong Kong Open Water World Cup and the Oceania Championships in 2014. In 2006, Bridgett completed her Certificate in International Sports Studies and then went on to complete a Bachelor in Sport & Exercise – Coaching. Bridget has worked for NZL Swim since they opened in 2016 and played a pivotal role in the development of both the squad system and the Phoenix Aquatics club. She brings a wealth of experience, passion and knowledge to her workouts and lessons and works at all levels from Improver lessons to competitive Age Group squads and Masters’ swimming. Matt started competitive swimming at 8 years old and has competed at National and International meets in both Australia and America. Formerly a member of the SNZ National Training Centre, he won national medals in Breaststroke and I.M. with his highest honour being crowned NZ National Champion in the 50m and 100m Breaststroke in 2017. Matt has been teaching & coaching at various levels since 2012, from infants to squad swimmers. After completing his SNZ assistant swim teacher award, SNZ Teacher of Competitive Swimmer & the SNZ Bronze Coaching Course, he has developed a passion for coaching at a high level. He also studied a Bachelor of Teaching & Learning (Primary) at the University of Canterbury and currently works as an Intermediate Teacher at Murrays Bay Intermediate. Matt has specific responsibility for development the young competitive swimmers. He is involved in the delivery, management and planning of the sessions and accompanies swimmers to identified meets around the local area. Away from swimming, Matt likes to relax and watch rugby and most weekends are filled with either relaxing or going on adventures with friends. Swimming is not the only sport that Matt is passionate about, Rugby plays a big part of his life and even though he lives in Auckland he still supports Canterbury. Swimming has been a part of Michael’s life since starting swimming lessons at 6 months old. In a long, and distinguished career, he broke over 20 New Zealand National Age Group Records and represented New Zealand at International events for 6 years, including World Championships, World University Games and Youth Olympic Games. Michael holds a Diploma in Sport & Recreation and is studying a Bachelor of Sport & Recreation Majoring in Coaching at AUT University. He has been teaching/coaching since 2014 and enjoys working with swimmers of all ages. His goal when teaching is to make sure all children have a positive experience with swimming. A former club swimmer, Luke has a real passion for working with young children and helping them develop to the best of their ability, whether that be in the pool or classroom. He completed an Early Childhood Education course at University and is heavily involved in childhood and youth work having worked across a range of areas supporting young people. .
Luke works for Northcote College as a teacher aide and is a part of the youth team, who mentor a selection of students from varying year levels. He is also starting to specialise in the special needs sector and has been a swim teacher since 2013. He has worked across both Learn to Swim & Junior Squads and brings a range of experiences to the job holding qualifications in Basic first aid, Child protection, pool safety & supervision and OSCAR behaviour guidance. Luke holds his Swimming NZ Swim Teacher certificate with an additional qualification in teaching children with special needs. Emilia was a club swimmer for 10 years and swam as part of the NZL Swim scheme prior to the formation of Phoenix Aquatics in 2019. She still takes part in ocean swims for fun and fitness. A former Northcote College prefect, Emilia finished school with NCEA level 3 endorsement and plans to study a Bachelor of Advanced Science. Emilia has been teaching with NZL Swim since 2017 and holds her Swimming NZ Swim Teacher award. She enjoys teaching children of all ages to be happy and confident in the water. Hayley started swimming competitively at age 9 and has been a NZ National Age Group and Senior medallist multiple times. Originally from Whangarei, Hayley moved to Auckland at age 17 to try and improve her swimming. After representing New Zealand at the 2018 World Short Course Championships Hayley is now focussed firmly on Olympic selection in the 800m/1500m Freestyle. A Sport & Recreation student at Auckland University of Technology part time, Hayley is also a qualified swim instructor and has been teaching since 2018. After completing her studies and making the Olympic Games, Hayley’s dream job is to be an outdoor instructor at OPC or outward bound. Seb came to us via Master’s and Triathlete swimming but has a life-long passion for swimming, having swum enthusiastically at school and gaining an Amateur Swimming Association (ASA) Honours Award. He has lived, worked and surfed/swum in Asia for the past 30 years and is currently re-training to be a teacher as well as studying for a BSc (Environment) degree. He holds the Swimming New Zealand Swim Teacher certificate and takes part in Open Water challenges to raise funds for the Auckland Down Syndrome Association. Vanessa began swimming competitively at the age of 7. She is a 3-time New Zealand champion in the 50, 100 & 200 metre Butterfly and represented New Zealand at the 2018 World Short Course Championships in Hangzhou, China. 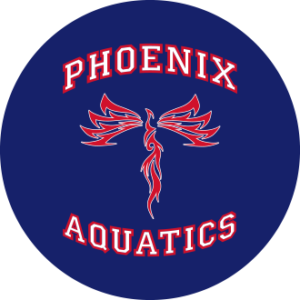 Vanessa is a member of the Phoenix Aquatic club based at Northcote College, and combines her training with her studies for a Bachelor of Accountancy at Massey University. She has been a swim teacher for 3 years and holds a level 3 qualification in swim teaching. She loves working with children to better their swimming abilities and have fun doing it. Vanessa aims to achieve more international swimming success with her ultimate goal being to represent New Zealand at the 2024 Olympic Games in Paris. Will has a long history of squad training and swam competitively for 7 years; He is a member of the NZL Swim Fitness squad and trains regularly. He began coaching in 2018 and really enjoys working with the young squad swimmers, passing on his own experiences and advise. He is a keen Ocean Series swimmer and regularly takes part in their events. Will is a Northcote student and prefect and plans to continue his studies at university in 2020 following his passion for mathematics or physics and hopes to go on to combine these with my love for theme parks and become a Disney Imagineer (Ride Engineer).